Is the New England cottontail no longer in trouble? I guess, as David Abel suggests at the Boston Globe, it depends on who you talk to. “The threatened New England cottontail — the region’s only native rabbit, made immortal in The Adventures of Peter Cottontail [by Thorton Burgess] — appears to be making a comeback. “ ‘People think they’re everywhere,’ Scott Ruhren, director of conservation for the Audubon Society of Rhode Island, said of the local cottontails. ‘But like every species, they are important and deserve a place on the New England landscape.’ ” More here. Update January 10, 2019: More good news at EcoRI, here. If zoos can do more this sort of wildlife restoration, they will go a long way toward justifying their existence to opponents. 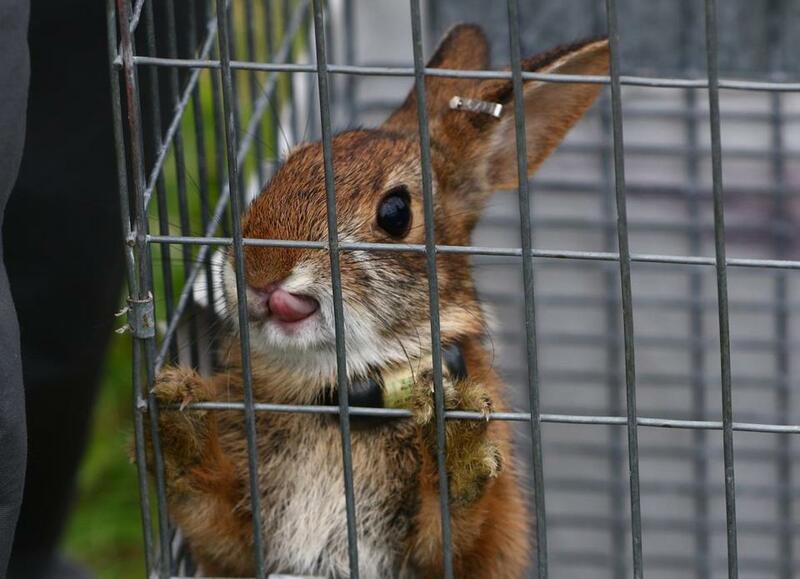 A New England cottontail bred in a refuge in Newington, N.H., was penned Thursday in advance of its release.